Angela is a graduate of Shanti Yoga School and a registered yoga teacher with the Yoga Alliance. She was trained at an interdisciplinary school and has studied with a wide variety of teachers including Debbie Murphy, Sean Corne, Hala Khouri and Julian Walker. The focus of her studies has been on emotional yoga and the use of self empowerment to increase life satisfaction. As a yoga teacher, Angela hopes to help her students find greater fulfillment and peace. She believes that through integrating the ancient art of yoga into our daily lives we gain greater self awareness and the knowledge needed to live life with determined intention. 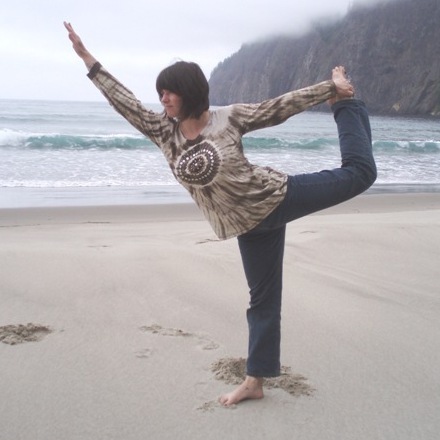 Angela approaches her personal practice and teaching with a focus on integration of the many branches of yogic philosophy. When attending class you can expect attention to detail, a dynamic sequence and a calm supportive environment.